On Friday 30 December, after praying at the al-Ibrahimi Mosque, six teenage boys went to spend time at the Friendship Garden Cafe in the Hebron’s Old Market. Israeli soldiers stopped two 15-year-old boys, checked their IDs and searched one boy’s bag. A soldier pushed one of the boys up against the wall. When the other boy tried to stop him, the soldier hit both of the boys, one on the side of his ribs, the other twice on the back and once on his leg. Once home, one of the boys realized that 150 shekels was missing from his bag. This boy attempted to report that the money had gone missing after the soldiers had searched his bag, but the police told him to go home. The boys asked CPTers to accompany them to the police station early in the morning before work. After some initial scheduling discussions (the boys work from 7:00 in the morning until 7:00 at night) they decided to go with their uncle instead. 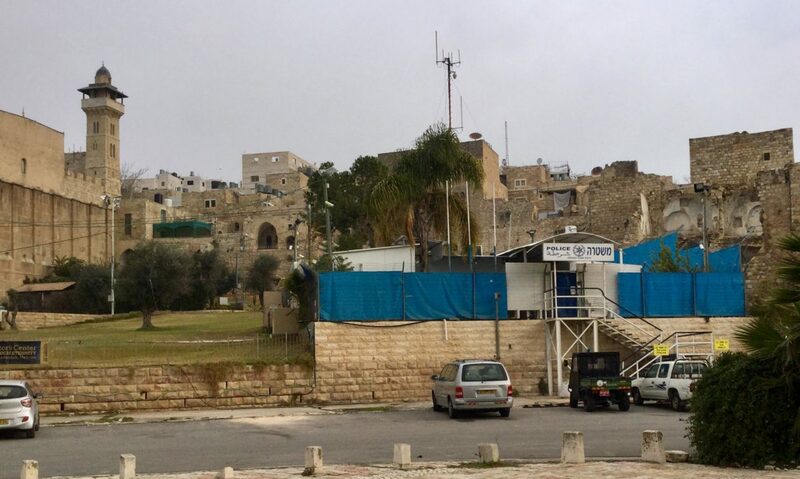 When they accused the soldier of stealing the money, the police in turn accused them of filing a false complaint and held them until their uncle paid 500 shekels. CPT-Palestine has connected the boys with human rights organizations concerned about their treatment.